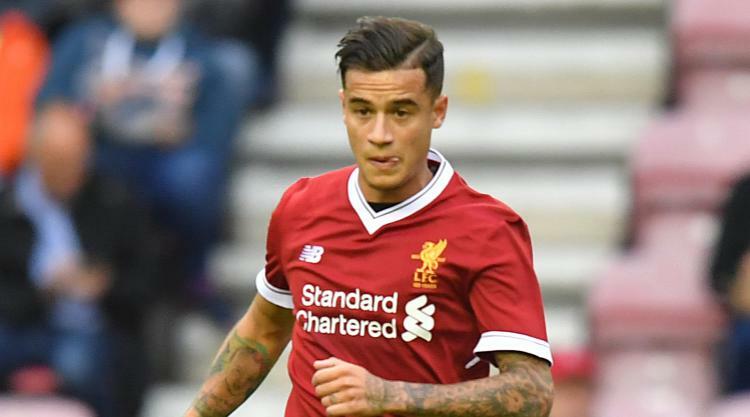 Liverpool manager Jurgen Klopp's assertion that substance is more important than style takes on new significance in the post-Philippe Coutinho era. Their most creative player's sale to Barcelona for £142million means the Reds boss has to find a way to compensate for the loss of the talents of his genuine game-changer while also ensuring his departure does not unsettle the balance of the team. With a top-four place and progress in the Champions League and FA Cup to play for, Klopp knows his players cannot afford to lose momentum with the 17-match unbeaten run the longest of his spell in charge at Anfield. Twelve months ago January proved pivotal for all the wrong reasons as the absence of a key player - Sadio Mane at the African Nations Cup - saw them win just once in the calendar month as their title hopes plus FA Cup and League Cup participation ended in dismal fashion. "It's not about playing a style from the sky or whatever, we really have to work and get results. That's all we need," Klopp told liverpoolfc.com, referring to Friday's win over Everton. "It's not allowed to be frustrated in a game about this or that; you always need to find a solution for the next situation and the next situation and the next situation." It is impossible for Klopp to find a like-for-like replacement for Coutinho and Press Association Sport understands unless there is a "knockout" player available January could pass without any new additions. He would ideally like to bring forward the agreement which will see RB Leipzig's Naby Keita move to Anfield in the summer in a £66million deal but the Bundesliga side remain resistant to that even though they do not have Champions League football next month. Klopp also retains an interest in Monaco midfielder Thomas Lemar, whom they tried to sign on deadline day in August but ran out of time to complete the transfer, and the Ligue 1 club are reluctant to do business in January. It currently points to it being highly unlikely there is any business done this month, meaning the manager will have to get the most out of existing resources. Adam Lallana is close to full match sharpness after missing the first four months of the season and his last two matches have been in the left-sided midfield role previously occupied by Coutinho. Summer signing Alex Oxlade-Chamberlain could also be given a more prominent role having seen his involvement increase over the last month.